Here is an opportunity for your children aged between 4 and 10 years to appreciate the lives and works of some of the great French artists. The first of this series of children's workshops will guide them through the world of Vincent Van Gogh. For two exciting hours they will learn about Vincent's travels, his little yellow house, his friends and how the seasons influenced his work in this hands-on workshop. 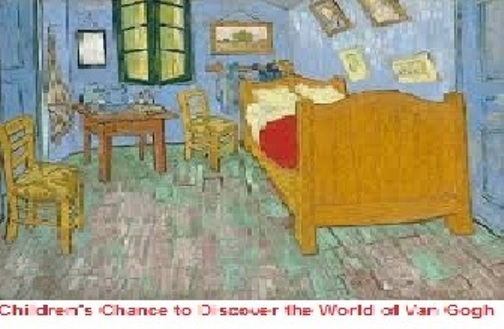 Presented by Alliance Française de Brisbane in their premises at 262 Montague Road, West End the Van Gogh workshop is scheduled for two exciting sessions on Saturday, 17 June 2017. The first session runs from 8.30 to 10.30 am and the second from 10.30am to 12.30pm. Each session will divided into different age groups. The younger kids, from four to seven years in one and those from seven to ten in another. The workshops include plenty of drawing, painting, songs, food and games to entertain and educate the children. The full price for this fantastic opportunity is $60. The workshop has been designed for every child's enjoyment. 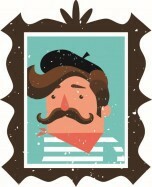 One workshop will be conducted entirely in French while non-French speakers will be looked after in a different group. If you would like more details on this and future French Art Workshops for Children contact Claire by email at info@afbrisbane.com or by phoning her on (07) 3844 4460. 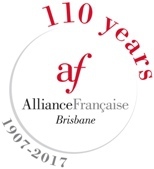 You can also check out the web page here and then call Alliance Française de Brisbane to register your interest by email at: festival@afbrisbane.com or phone 3844 4460. Why? Children love to have fun while they learn.